Glo is not taking any chance in their bid to dominate the Nigeria telecom market. Although the competition had been on for quite some time now, there is no doubt Glo is taking the lead with their supper affordable data plan and low call rate. Even after recently introducing the cheapest data plan in the country, glo has just launched a new product which they call the Glo Borrow Me Data. 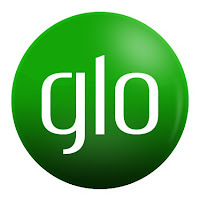 Aside that, glo also repackaged three of their products which are Double Free Tomorrow, 11k/s for All, and IDD Packs. With the new Glo Borrow Me Data, Glo users can borrow as much as 2Gb data credit whenever they exhaust their data and don't have enough airtime to resubscribe. This allows you to borrow data which you can pay for when you recharge. To be eligible, you must have been on the Glo network for some time and also your monthly data usage matters. To borrow data from Glo, all you need to do is to dial *321# then follow the command prompt. You will be credited will the real time data. Once you borrow data, it will be deducted from your future recharge. So guys what do think about this new development from Glo. Let me know what you think by dropping your comment below.